Samford University education graduate Mandy Jayne Stanley of Leighton, Ala., has been named the 2014 National Student Teacher of the Year by the Kappa Delta Pi International Honor Society in Education and the Association of Teacher Education. This is the first time the award has been granted to an Alabama student and includes a $1,200 cash prize and national recognition. The award honors development of classroom management skills, instructional strategies that support the needs of all students, effective interpersonal relationships with students, parents, faculty and staff and academic accomplishments. Stanley said she was honored to have her hard work and dedication acknowledged and cited her professors for their role in this award. “Every day they modeled what it means to be a dedicated, determined, and data-driven educator who strives to develop relevant and rigorous lessons while building relationships with their students,” she said. Stanley teaches fourth grade at Charles A. 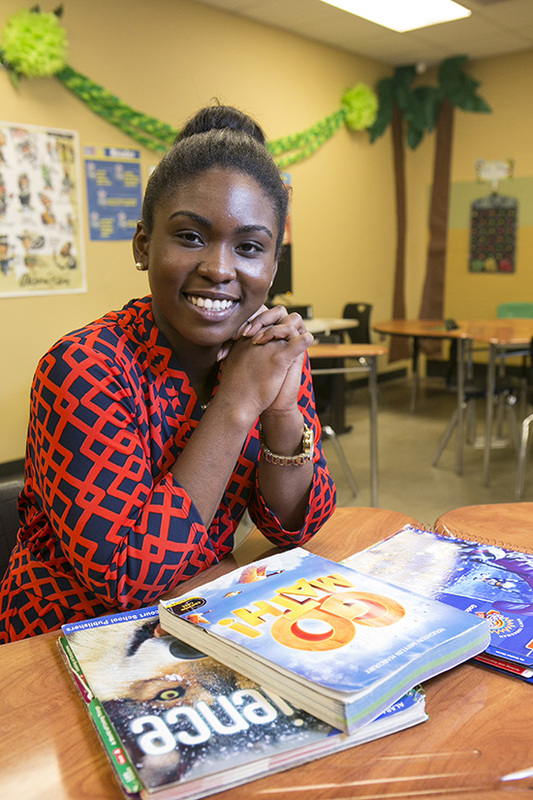 Brown Elementary School in the Birmingham City School System and said her future plans include becoming a master teacher and an education research analyst. Stanley received her bachelor of science in education degree from Samford in May.